Wir arbeiten aktiv mit führenden nationalen und internationalen Forschungseinrichtungen zusammen, um Forschungs- und Entwicklungsprojekte zu unterstützen, die Innovationen und den Technologietransfer im Bereich des energieeffizienten Bauens vorantreiben. Wir verstehen, dass sich die Technologie ständig weiterentwickelt und sehen unsere Beteiligung an Forschungs- und Entwicklungsprojekten als eine wichtige Maßnahme, um auf dem neuesten Stand der Technik zu sein. Commissioning (Cx) is not a transactional series of tests, but a collaborative and essential design and construction discipline. Cx provides documented confirmation that the building systems’ final functionality meets the client’s project needs. Based on our years of experience, Baumann provides a comprehensive, seamless commission-ing workflow that ensures that each project is treated uniquely but efficiently. Our flexible, in-house tools are integrated into a web-based platform so that Baumann can provide continuously updated schedules, plans, action logs, and test results to the project team. Team members have access via individual accounts and logins that are tailored to their project role. Our suite of Cx services includes advanced visualization techniques, Operation Diagnostics, and Operation Prognostics (see service description “Ongoing Commissioning” for more information), which empower our engineers to quickly and precisely identify areas of improvement. These methods were developed by Baumann over the last decade. As a method of risk reduction, Cx provides for a smooth transition from the design-er to the contractor and from the contractor to the building engineer, while improving the operation of building systems. In our approach, Commissioning is always conducted in accordance with the client’s program and the designer’s intent. We test building systems and verify their functionality and performance according to the owner’s project requirements and design documentation. With our hands-on approach to projects and active participation in developing industry guidelines and standards, Baumann produces results. We rely on a sys-tematic integration of quality processes throughout a building’s entire design, build, and occupancy cycle. Our ability to grasp the why and how of a system sets us apart, meaning our clients receive high quality service. Monitoring Based Commissioning (MBCx) and Measurement & Verification (M&V) are providing ongoing accountability of building performance, including energy consumption, well after construction is completed and occupancy has begun. 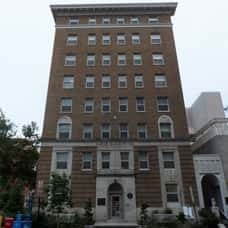 By tracking actual operation and energy performance at all system levels, the building can be assessed relative to its intended and potential operation. Operation Diagnostics – Looking beyond Baumann’s efficient and effective project administration tools, Baumann elevates commissioning to a higher level through its use of advanced diagnostics. Specifically, our Commissioning Services include Operation Diagnostics, a unique methodology that has been developed by Baumann over the last decade. 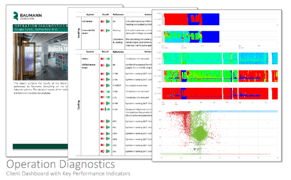 Our Operation Diagnostics (OD) methodology uses advanced visualization tech-niques to organize and analyze trend data such that large amounts of data can be comprehended and analyzed effectively. The correlation and dependencies be-tween various operation values, as well as data frequency and other useful statisti-cal information, are used to diagnose the operation of buildings and their systems. Using OD, complex operation and control sequences can be analyzed, verified, and optimized deliberately and effectively. Operation Diagnostics allows an ongoing verification of the operation of building systems and their components over long periods of time, whereas traditional test-ing verifies the operation at one point in time. In addition, the methodology is used to verify the functionality of the building automation system, and to perform sea-sonal testing without impact on the building operation. The results of the analysis are shared on a web-based dashboard. It provides a quick overview of the building and systems performance as well as the detailed analysis of individual systems and components. Although a building’s enclosure is often not considered a part of the Heating, Ventilation and Air Conditioning systems, its properties have a significant impact on the building’s energy consumption and occupant comfort. Therefore, it is highly valuable to incorporate the building enclosure into the over-all commissioning process, including design reviews of constructions and materials, site visits to inspect mock-ups and assemblies, and enclosure-specific testing such as blower door tests, water infiltration, and infrared thermography. Baumann Consulting takes a holistic approach to Building Enclosure Commissioning (BECx), collaborating with the project team throughout design, construction, and operation to support the achievement of a healthy, durable, and high-performance building enclosure. Baumann’s team of commissioning experts and building scientists leverage their in-depth expertise to guide our clients through the process of meeting the stringent requirements of green building rating systems, including LEED v4 and the Passivhaus building energy standard. 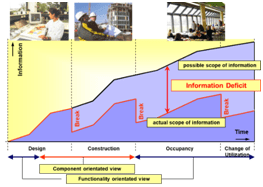 Over time, building systems and their operations deviate from the original design intent. Retro-Commissioning (RCx) is a systematic process designed to restore systems to their intended operation and make improvements in comfort and ener-gy use. The primary value of Retro-Commissioning (RCx) is the optimization of a building’s operational performance by implementing no cost or low cost measures. Baumann is focusing not only on optimizing the performance of components and systems, but also optimizing how building systems function together. In addition to onsite testing and verification, we apply Operation Diagnostics (see service description “Ongoing Commissioning” for more information) to our RCx projects. 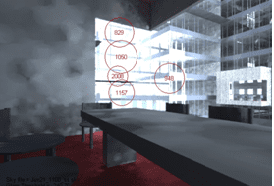 Building performance simulation is advancing the state of the art in the building design and con-struction industry. It is a quantitative method that applies a range of simulation tools to predict facility behavior and inform building design and investment decisions. At Baumann, we view building performance simulation as a collaborative and creative expression of integrated design, optimization, risk mitigation, and sustainable resource utilization. Our practice focuses on reliable communications with our clients: we believe that consistent, data-driven feedback starting from early conceptual phases is the best way to achieve both project performance and budget goals. With insightful understanding of building physics, cutting-edge efficiency technologies, energy codes, project team dynamics, and financial feasibility concerns, our staff of experienced professional engineers, architects, and scientists seeks to provide our clients with the best sustainable building consulting service on the market. Building performance simulation is more than just energy modeling – our expert team can render the following services: Early Design Phase Optimization, Code Compliance and LEED Certification Energy Modeling, Thermal Comfort Analysis, Hygrothermal Simulation, Daylight Analysis, Computational Fluid Dy-namics (CFD), Large Scale Modeling. To assist our clients in making data-driven decisions throughout a project, we offer early design optimization modeling to analyze efficiency measures during pre-design or schematic design phase, as well as whole building energy simulation for LEED, IECC, and ASHRAE code compliance. Building simulation has the highest impact during early conceptual phases, when implementing sustainable design strategies has minimal adverse effect on project budget and schedule. At this stage, we use simplified parametric models to rapidly and responsively help our clients cost-effectively minimize energy demand and identify performant HVAC systems options by understanding the performance implications of design decisions relating to building form, window-to-wall ratio, enve-lope thermal and optical properties, and artificial lighting systems. Natural daylighting is an excellent strategy for reducing building energy demand, and modern energy codes mandate some daylighting controls. Simulation driven façade design and improved daylight dimming schemes are a valuable resource for lighting-heavy spaces. 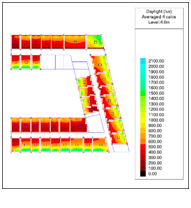 Our team employs room-by-room daylight analysis to not only minimize artificial lighting usage via architectural optimization, but to re-duce glare and general occupant visual comfort. Maximizing indoor daylight levels, not only reduces carbon emissions, but also has a positive effect on the productivi-ty, mental health, and well-being of occupants in the space. The results of daylighting simulation can be used to show compliance with LEED and other green building certification requirements. Large spaces such as atriums, stadiums, and auditoriums pose unique challenges to simultaneously maintaining thermal comfort and efficient energy performance. Labs, clean-rooms, and other mission critical facilities require exact design and knowledge of the special air flow in order to provide safe and appropriate environments. Energy modeling alone is insufficient to accurately predict HVAC system performance, air flow and thermal comfort conditions in such spaces. Our team employs CFD simulation, a numerical method of predicting fluid flows, to assist our clients in designing healthy, comfortable spaces – including naturally ventilated areas – with minimal energy expenditure. 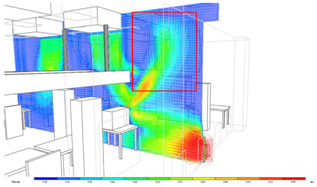 Another application of the CFD simulation is the verification of air conditioning by natural ventilation, which allows to minimize the energy expenditure in buildings significantly. for high-precision measurements of microstructures and optical elements. Evaluation of the surface temperature of modules in the converter room. 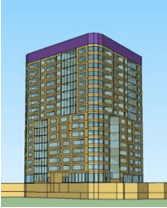 Occupant thermal comfort has a tremendous impact on tenant appeal and productivity. It isn’t just a matter of air temperature: surface temperatures, humidity levels, clothing, local airspeed, and activity levels all play a part as well. Our team con-ducts detailed seasonal temperature and airflow analyses based on thermal and CFD simulation to identify critical areas and provide feasible solutions to ensure that the designed systems deliver optimal occupant comfort year-round. Buildings have a significant impact on our day to day lives, as we spend the majority of our time indoors. Successful sustainability strategies encompass the entire building life-cycle, from design and construction to operation and reuse. Baumann’s expertise goes beyond the certification of green buildings by developing sustainability concepts for large events and organizations to support your mission and corporate values. Green building rating systems define sustainable, high performance buildings – structures that are healthier, more environmentally responsible, and more profitable. A certification validates the sustainable qualities of buildings to owners, investors, occupants, the market, and communities through a set of performance standards for the design, construction, operation, and maintenance of buildings. Baumann’s multidisciplinary team of experienced engineers, architects, and consultants has extensive expertise with various certification systems including LEED, DGNB, BREEAM, WELL, Green Globe, Passivhaus, and Green Communities. 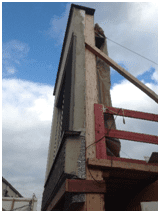 We have worked successfully on over 100 certified projects in 7 countries. 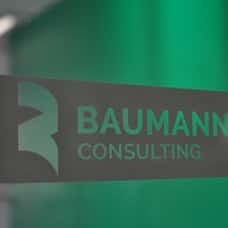 Baumann’s deliberate leadership approach leverages our US and international real estate experience to develop sustainable solutions that are attainable, impactful, and cost-effective. We are able to provide all necessary services for a successful certification with in-house resources, including but not limited to, commissioning, energy modeling, life cycle analysis, and energy audits. This allows for an integral and holistic approach, which creates synergies, streamlines processes, and reduces the impact for the project team. Energy demand for harvesting raw materials and the production of building components as well as their construction, maintenance, reuse, and demolition is the key factor for real estate development that focuses on minimizing resources. The smart selection of materials has a direct impact on the carbon footprint of a building and the emission of greenhouse gases. Baumann’s experienced architects and consultants provide a holistic life cycle analysis to optimize the material selection to reach the owners goals and to ensure that the respective criteria for green building certifications are achieved. Besides the environmental impact, the ecological quality of building materials is the main factor for indoor air quality, which impacts the health and productivity of the building occupants. The number of labels and certifications make it difficult to select materials that are cost effective and in line with the project’s and owner’s goals. Baumann is supporting owners, architects, and contractors in making the right material choices to meet the project requirements. Our mission is to elevate high-performance buildings from a niche segment of the market to become the industry standard. We believe that every existing building has the potential to improve energy efficiency and thermal comfort, leading to reduced operating cost and increased occupant productivity. Besides Re- or Retro-Commissioning, we provide the following services to achieve those goals. Benchmarking is the first step to evaluate your buildings energy performance and to determine the potential for reducing energy consumption. Our engineers use the benchmarking process to help you to prioritize your goals and activities. We compare building performance within your portfolio and against national benchmarks (such as EnergyStar) while setting goals based on local and global best practice. Benchmarking your building is mandatory in an increasing number of cities and counties, and our engineers can guide you efficiently through the process. Energy audits evaluate a facility’s energy performance to identify the most effective energy conservation measures (ECMs) for maximizing return on investment (ROI) and improving net operating income (NOI). We are committed to providing clear, concise, and actionable information to help you to make informed real estate decisions. Whether your focus is due diligence, brokerage, leasing, project management, or operations, we provide you with reliable information that you need to set expectations and establish capital expenditure and operations budgets. We understand that operation budgets are tight and that decisions need to be made with a focus on ROI and payback time. Baumann’s engineers are well informed about available incentives or financing options, like PACE and others, to maximize their usage and increase ROIs. Support in the definition of key points and project requirements in close consultation with the client. Comparison of the energy efficiency requirements from the individual project requirements (eg EnEV, KfW, LEED) and deduction of specific energy and structural minimum criteria. Estimation of the energy demand for heat, cold and electricity by means of specific figures. Estimation of energy consumption for heating, cooling, ventilation and lighting by means of specific indicators and efficiencies of different supply systems. Development of cornerstones for building and plant planning in the form of a specification with concrete specifications for building and plant planning. 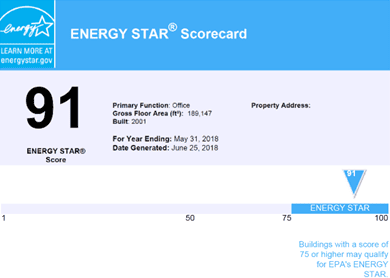 The ENERGY STAR Portfolio Manager is a widely recognized tool to track energy and water usage and greenhouse gas emissions of individual buildings or portfolios. Our professional engineers guide you through the process to achieve the ENERGY STAR certification for your buildings. This certification demonstrates that they are among the top 25 percent of similar buildings nationwide, without sacrificing thermal comfort and indoor air quality. A facility condition assessment (FCA) is the process of analyzing the condition of individual buildings or portfolios. Our FCA gives owners and investors actionable information about the physical condition of their real estate portfolios by prioritizing necessary maintenance activities and identifying required system upgrades that are summarized in a capital improvement plan. Integrated Energy Master Plans (IEMPs) serve as a data-driven roadmap for risk reduction by achieving significant energy and water savings for campuses, cities, and counties over long time periods. 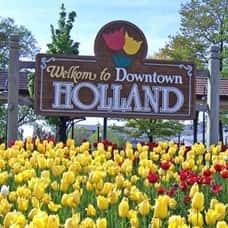 The goal is to understand the long term energy demand and to develop an actionable strategy for a cost effective and reliable supply structure, while reducing the city’s carbon footprint. In collaboration with you, Baumann develops a strategy to achieve energy usage and greenhouse gas emissions reductions while meeting your financial and community development goals. In a first step, our team assesses the location’s current energy demand and portfolio condition in conjunction with planned expansions and upgrades. 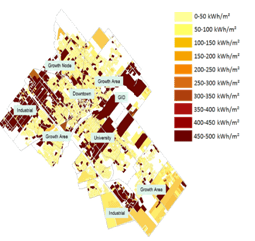 We then use the large scale energy model to evaluate the effects of energy efficiency measures on energy savings for campuses, cities, and counties, relative to the return on investment. We actively engage with leading research institutions to support research and development projects that drive innovation and technology transfer in the energy efficient building sector. We understand that technology is constantly evolving and see our involvement in research and development projects as one important measure to keep us on top of the latest trends. We consider building simulations as a central component of an integral planning process with the goal of plant optimization and risk minimization. Building simulation is a quantitative method that can predict the functioning of assets and systems and influence investment decisions. Our simulation engineers are not only technically competent, but can communicate the results understandably to other trades and to the owners. Our scope of services is not limited to energetic building simulation, but also includes daylight analyzes, thermal comfort analyzes, hygrothermal simulation, CFD simulation and planning optimization in early project phases and proof of compliance with technical rules, regulations and laws. In the early planning phases, we use the energetic building simulation in the development and verification of energy concepts. We use simplified parametric models for quick results. The investment and operating cost savings associated with increased energy efficiency and reduced plant sizes quickly lead to the amortization of simulation costs. In addition to the system and equipment selection, we also examine the shape and orientation of the building, the ratio of window to wall surface, as well as the use of daylight and lighting control. 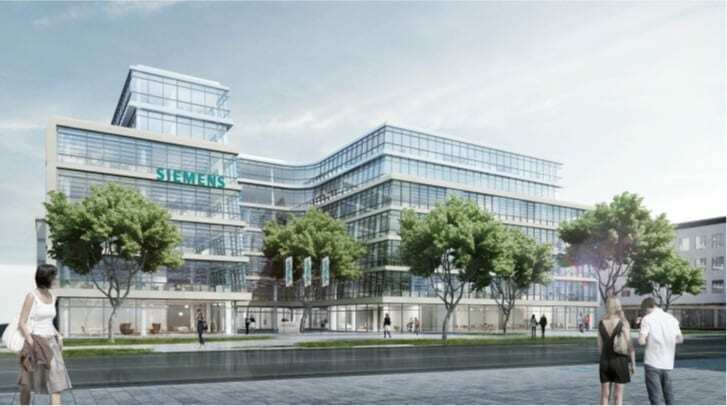 The energetic building simulation is also used as proof for the certification systems DGNB, LEED and BREEAM. The use of daylight is an important strategy to reduce the energy consumption of buildings. 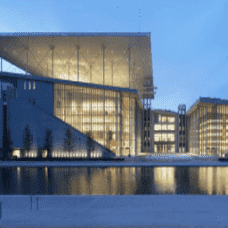 Simulation-based facade design and development of control strategies through daylight simulations not only optimize energy efficiency, but also increase the visual comfort of users. Daylight also has a positive effect on the well-being and health of users, thereby increasing their productivity and reducing their absence due to illness. Sustainability certification systems such as DGNB and LEED also recognize the relevance of daylight utilization and rely on simulations for detection. Large airspaces such as atria, auditoriums and stadiums pose a particular challenge to ensuring ventilation efficiency, thermal comfort and energy efficiency. Laboratories, clean rooms and other highly sensitive facilities require accurate air flow planning and knowledge to ensure safe and adequate indoor climate conditions. The energetic building simulation alone is not enough to predict the air flow and the thermal comfort conditions in such rooms with sufficient accuracy. Our team uses CFD simulations. 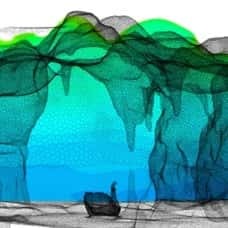 CFD simulations are a numerical method for the prediction of air and liquid flows. Evaluation of the air velocity and temperature distribution in the quality control room for high-precision measurements of microstructures and optical elements. Companies are increasingly seeing the connection between thermal user comfort and productivity. Thermal user comfort is therefore an important criterion in the selection of new rental space. Greater comfort leads to falling sick leave and to higher efficiency of employees. The thermal comfort is not only determined by the air temperature. A variety of other factors such as surface temperatures, humidity and air velocity, clothing and activity also affect thermal comfort. 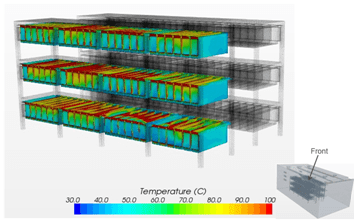 Our team conducts detailed seasonal temperature and airflow analysis based on heat and CFD simulations. Critical areas are identified early and optimization measures can be developed. This ensures high user comfort throughout the year. The top priority is to increase comfort while reducing investment and operating costs. A facility condition assessment (FCA) is the process of analyzing the condition of individual buildings or portfolios. Our FCA gives owners and investors actionable information about the physical condition of their real estate portfolios by prioritizing necessary maintenance activities and identifying required system upgrades that are summarized in a capital improvement plan.